The death of the most influential physicist and cosmologist on ‘’Pi Day’’ opened debates on social media with speculations that Hawking himself may have planned his death through law of attraction. In later years, Hawking’s brilliant razor-sharp intelligence inspired his colleagues and mates to the extent that some called him worthy successor to Issac Newton. His greatest contribution was in cosmology and black hole physics. At the age of 21, while Stephen was pursuing his PhD at Cambridge university, he was diagnosed with a disease called Amyotrophic Lateral Sclerosis (ALS), which according to the doctors is ‘’100 percent fatal’’ and such patients do not survive more than 2 years. Due to such short life expectancy, he left studies in the middle and went into depression. It was at those dark and dull moments something filled his mind with life and hope. He not only survived but became the most famous scientist that we know today. Soon after defeating his illness, Hawking opened several insights to the emergence and existence of universe including his 1988 best-selling book, “A Brief History of Time”, which was a huge success. It sold more than 10 million copies and was on the Sunday Times best-seller list for more than four years. The book made revelations that unlocked minds. Although the book was hard to understand for many, it did change the world and views. As a matter of fact, Hawking’s work has more impact than Einstein and Newton’s as it is a guiding research in present and more years to come. Professor Hawking also believed that humans should travel to other planets too, as life on the earth is in danger due to environmental problems. Despite the fact that he had physical disability, it didn’t stop him from experiencing the thrills and spills of family life. He married his classmate Jane Wilde, whom he met before he had been diagnosis with ALS. They have three kids together. Later Jane and Hawking got divorced and he then married another woman named Mason in 1995. In 2006, they quietly divorced which later gave birth to Jane’s memoir, “Traveling to infinity: My life with Stephen” appeared in 2007 and was made up into a drama film “The theory of everything”. 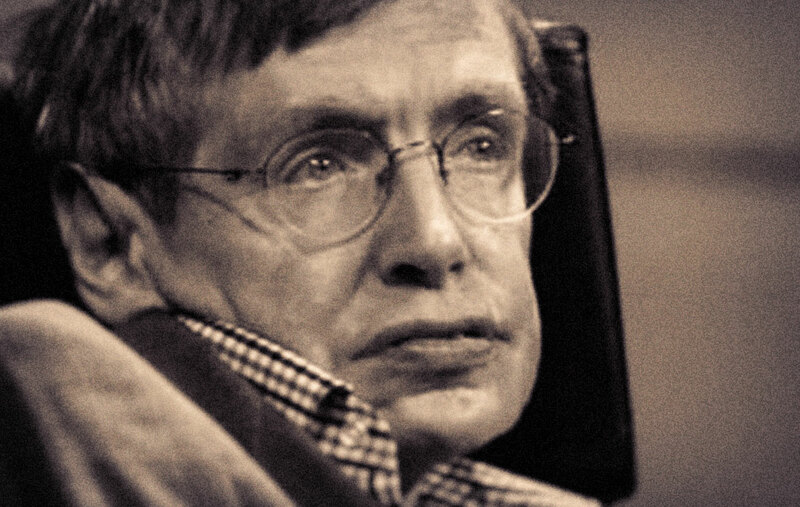 In 2002, Hawking was ranked number 25 in the BBC’s poll of 100 greatest Britons. He received several medals and awards related to his field. He also received honorary Phd from Oxford and other universities. 1. Life on Earth is at the ever-increasing risk of being wiped out by a disaster, such as sudden global nuclear war, a genetically engineered virus or other dangers we have not yet thought of. 2. I am just a child who has never grown up. I still keep asking these ‘how’ and ‘why’ questions. Occasionally, I find an answer. 3. Life would be tragic if it weren’t funny. 4. Look up at the stars and not down at your feet. Try to make sense of what you see, and wonder about what makes the universe exist. Be curious. 5. My advice to other disabled people would be, concentrate on things your disability doesn’t prevent you doing well, and don’t regret the things it interferes with. Don’t be disabled in spirit as well as physically.